Item # 314999 Stash Points: 5,195 (?) This is the number of points you get in The Zumiez Stash for purchasing this item. Stash points are redeemable for exclusive rewards only available to Zumiez Stash members. To redeem your points check out the rewards catalog on thestash.zumiez.com. Flip brings you the Team HKD bandana white skateboard deck to complete your next set up. 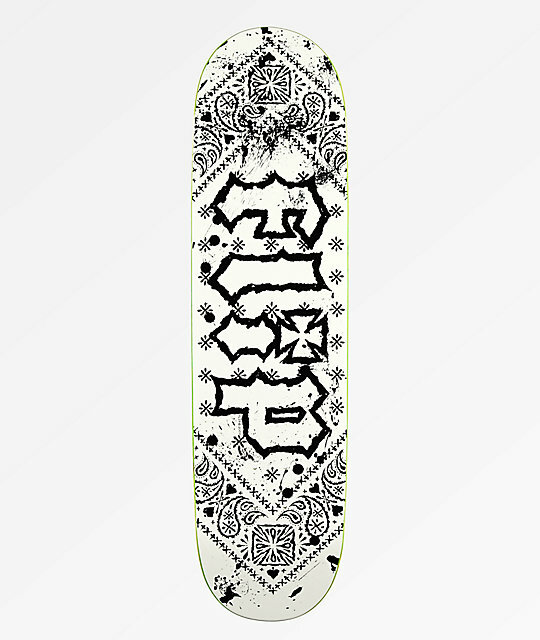 This deck features a black and white paisley bandana print throughout with a classic Flip logo graphic in the center and offers a mellow concave for stability and additional surface area. 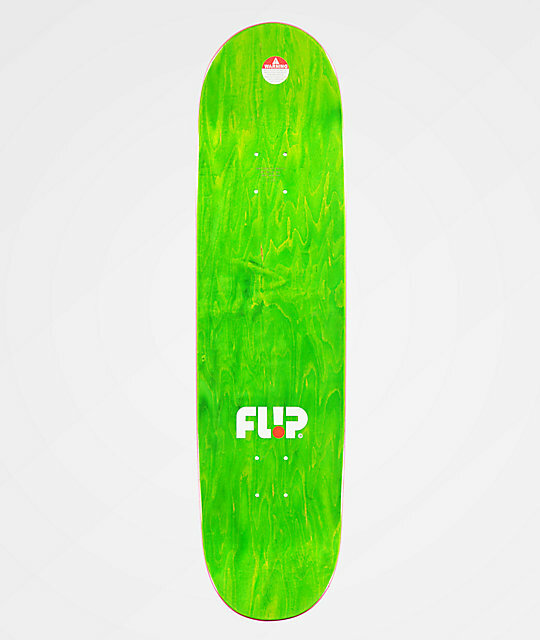 Team HKD Bandana White 8.5" Skateboard Deck from Flip.